It’s no secret that dry skin plagues me. I can’t say that it’s something that’s always been a skin concern of mine, as I only really started taking care of my skin about 10 years ago. Before then, it was anything goes. But as we get older, our priorities and skin concerns change. So I’ve either always had dry skin (and didn’t notice it much) or it got worse since I’ve been in Joburg. I’m leaning more towards the latter. I know I’m not the only woman whose appearance gets affected by the climate, especially the dry and sometimes harsh conditions in Jozi. We all want beautiful skin and make it look like it comes naturally. But some of us don’t have such luck and need a little help to get there. In a way, many of us interpret great looking skin as an indication of health. Our skin needs to not only look good but feel and smell good too. All of us want skin that looks healthy by being hydrated and moisturised, feels great by being soft and supple and smell fresh. When it comes to moisturisers, I prefer using products that are light in summer and are able to keep my skin moisturised without leaving it feeling greasy. 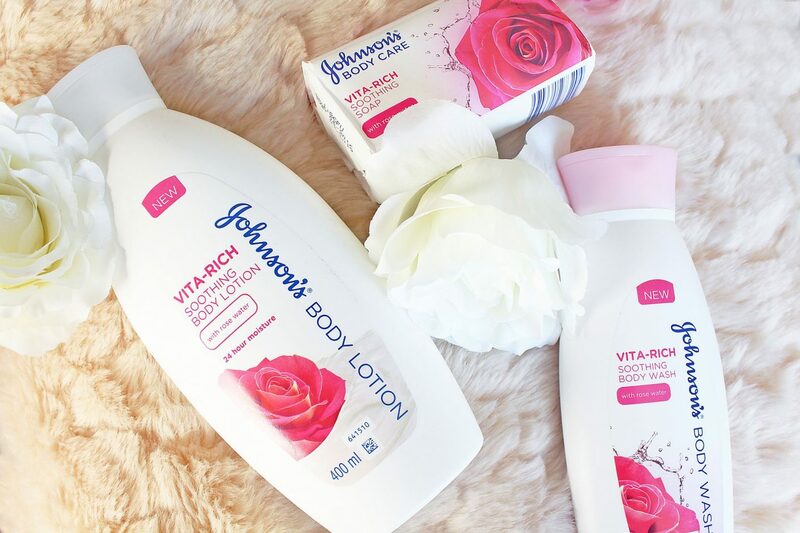 The new Johnson’s Vita-Rich body wash and body lotion is a current fave during these warmer months. The lotion is light, non-greasy and has a really feminine scent. The entire range of products have formulas that have naturally-derived ingredients and is paraben-free, revitalising your skin by moisturising it gently. There are five different ranges and variants that each address a particular skin concern. To replenish skin – use the range that is infused with raspberry extract. Raspberry extract is rich in antioxidants and helps it to naturally delay skin ageing. It also helps to provide your skin with a beautiful complexion. To brighten skin – use the range that is infused with pomegranate. Pomegranate helps to hydrate your skin and also protects it from harmful UV rays from the sun. To smooth skin – use the range that is infused with papaya extracts. Papaya acts well as a pore-cleanser, reducing pigmentation and controlling acne breakouts. To sooth skin – use the range that’s infused with rosewater extracts (my fave). Rosewater helps to control over production of oil in the skin. Since having Kai, my skin has gotten much oilier so this variant works well for me. To revitalise skin – try the range that’s infused with grapeseed oil. Grapeseed Oil helps to improve skin radiance and also works as an anti-ageing ingredient. All ranges have a body wash, soap bar and body lotion to care for your skin from head to toe. Team these up with the Johnson’s Daily Essentials range and you’ll well be on the road to being summer ready. 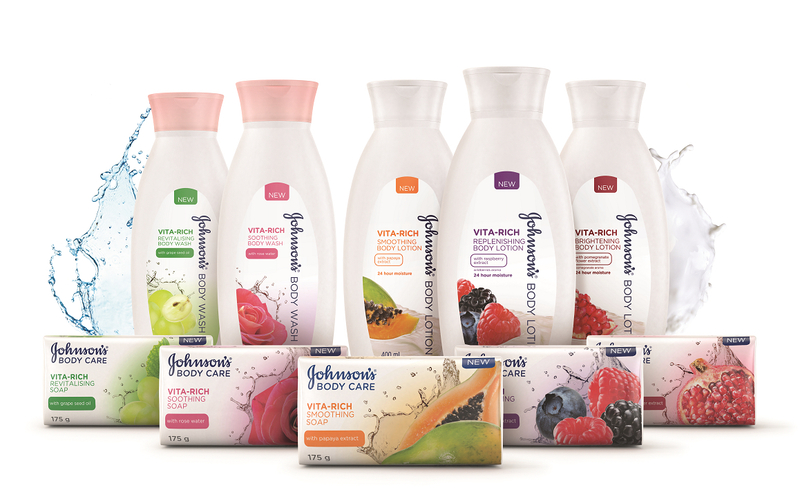 Johnson’s Vita-Rich is available at leading retail stores at an affordable price range of R11.95 – R42.95. I’ve been johnsons products for my skin since I can remember! As a young adult, I really try my best to look after my skin so it can last longer. I feel like the Pomegranate Skin Care Range will help brighten my skin, as I suffer from uneven skin tone. So with this, my skin can feel brighter this summer! It was no secret that I was left with dry skin throughout winter into summer! Getting summer ready always felt like mission impossible, with the fear of exposing dry skin with cracked skin edges. I’ve always been a Johnson’s fan, but I’ve recently started using the new Vita Rich range, my fav being the Pomagranate range to brighten skin. It has helped repair cracked edges, kept me hydrated and ready for the sun beach with its protection from harmful UV rays of the sun. Not only do I enjoy the wonderful benefits to my skin, but I also enjoy the refreshing smell of the scent which keeps me fresh and getting compliments all the time. I can officially say my Pomagranate range( Soup and lotion) has got my skin in all sorts of giggles. Happy, bright and hydrated. Thank you to Johnson’s for this beautiful range. Share your beauty, stay protected!